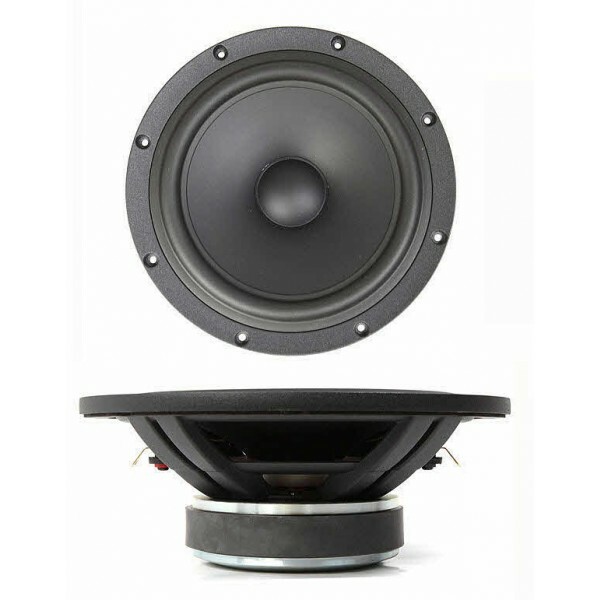 SB Acoustics SB23NRXS45-8 Woofer, £58.25 Excl. VAT. Low damping rubber surround. SB Acoustics SB23NRXS45-8 Woofer is a well-engineered good value SB Acoustics Ferrite magnet 8" 8ohm woofer, featuring a high efficiency low damping rubber surround. Fitted with a proprietary composition coated paper cone, 2" voice coil. Very open cast frame for minimal reflections. Shorting Ring Motor system. Fs 28Hz, good linear response.